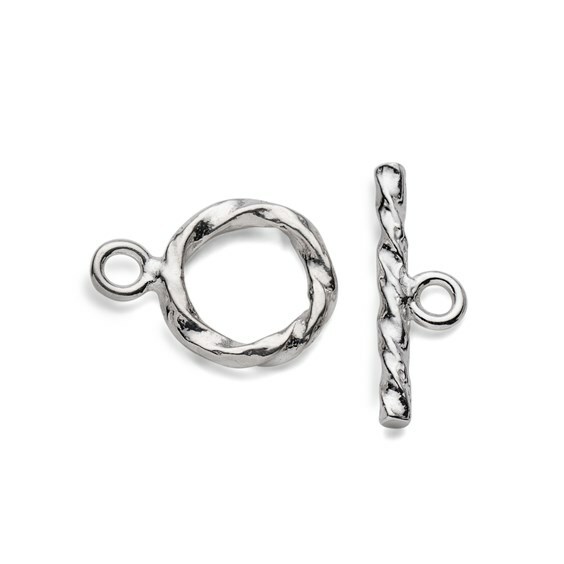 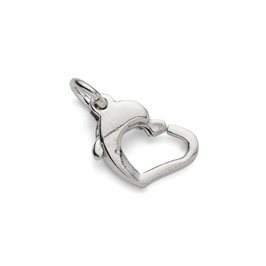 This sterling silver toggle clasp has a pretty, twisted look which gives a lovely decorative finish to any bracelet or necklace. 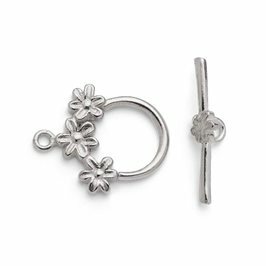 It looks great when used with textured beads and findings and the pattern could easily be enhanced using liver of sulphur if you like a vintage look. 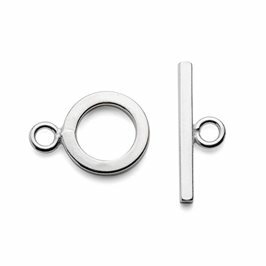 It has a 9.5mm diameter ring and a 15mm long bar so it is sized to suit most projects and the loops are closed so is really secure when using with thread for beaded designs.